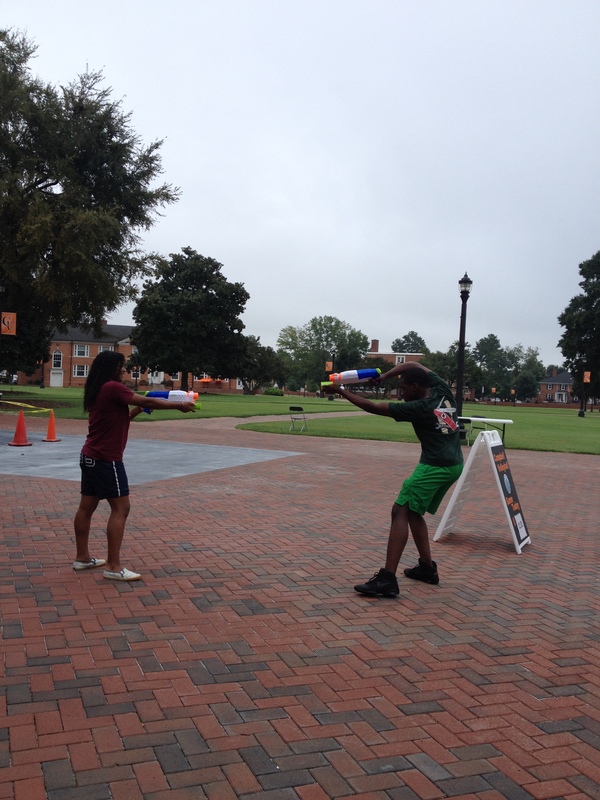 Beginning on Friday September 14, was Water Gun Assassin. 68 students signed up the week prior and they came before school let out for the weekend to pick up their water gun and their target. At 3 p.m. the war began and many students were quickly hit by their an assassin. At 7 that night, there were only 4 students left. 8 o’clock was the time when it would be over for the day and there were only two left for the beginning of the next morning. Saturday, the two opponents were ready to play by 10 am, but the game only lasted a few minutes before the winner was announced. Celeste Philips took home the prize of a Samsung tablet. According to Weekends Committee Chair, Steph Karvosky, Celeste was excellent at Water Gun Assassin and was consistently shooting her targets. In sports this weekend, there were three volleyball games and we got the win for one of them! If you didm’t make it to the volleyball game, the soccer game was good as well, even though we lost. There were many opportunities to get the new Camel Rewards this weekend! Also, make sure you come to the games for the opportunity to see Jonathan Boggs in his famous sports fan attire. Tuesday September 16: Men’s Soccer Game- Coupons will be handed out for free tacos at Taco Bell!